Hitachi has entered into a definitive contract for the acquisition of the robotic system integrator business mainly operated by an American headquartered company, JR Automation. Hitachi will conduct the acquisition with Crestview Partners. 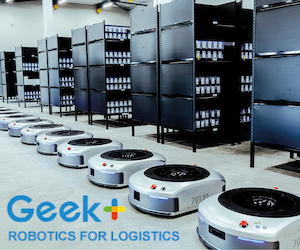 Supply chain automation startup Locus Robotics has raised $26 million in Series C funding. The company says it will use the proceeds to scale production of its revolutionary multi-bot solution for warehouse fulfillment, as well as for expansion of its sales and marketing efforts, both in North America, and internationally. Swisslog has been commissioned to carry out the comprehensive automation of the Coop warehouse in Langhus. The delivery includes a high-bay pallet warehouse with six Vectura stacker cranes and a conveyor system, which are controlled by the intelligent Swisslog software SynQ. The new distribution centre will be in full operation at the beginning of 2021. At ProMat 2019, Yale showed its industry-first dual-mode pantograph robotic lift truck. The truck is capable of autonomously depositing and retrieving loads from locations as high as 30 feet and reaching into double-deep storage. The high-lifting capability of the reach/forklift truck makes it suited for distribution centres facing pressure to maximise vertical storage space, says the company. 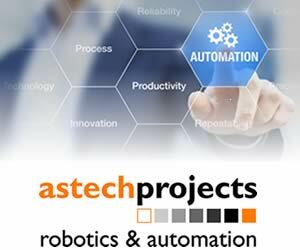 North American Electric has established a new, wholly-owned subsidiary – NAE Automation. The company says the new business will provide “complete automation solutions and engineering services”. Mitsubishi Electric Asia, a subsidiary of Mitsubishi Electric Corporation, a manufacturer of electric and electronic equipment, is collaborating with partners and experts to form the first strategic partnership in Singapore, e-F@ctory Alliance. The alliance is intended to help companies embark on a journey towards developing the internet of things and digital transformation.